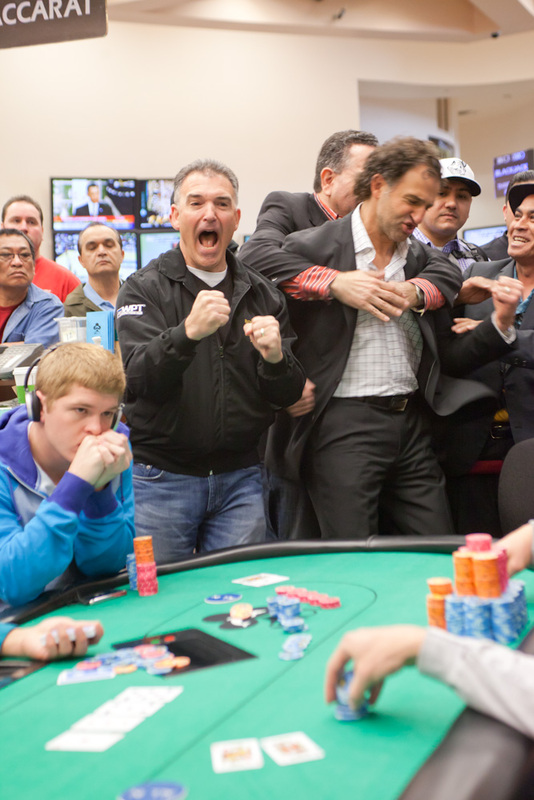 Chris Trapani was all in preflop holding AK against the pocket kings of Galen Hall. When another player had said they had folded an ace, and all rags came on the flop, it had looked as if Chris's tournament run was coming to an end. But an ace fell on the turn, as if put there by Marko himself, to keep Chris alive. When the river was not a king, Chris doubled up. Pictured above, you can see the amount of emotion in the room for this local favorite.